With Spring comes the cleaning, and one place you might not immediately think of, especially in a detached home, is your dryer ducts. For those who might not be aware, a dryer duct runs through the house to exhaust the air from the dryer to the exterior. Over time, lint that’s carried along on the hot air from the dryer to the outside of your home, can clog the duct. This not only makes your dryer do its job much less efficiently, but it can result in home fires. In fact, each year, more than 2,900 home fires are started by clothes dryers, when lint build up restricts airflow, causes overheating, and ignites the lint itself! You might be regularly in the habit of cleaning out the lint trap in the door of your dryer, but if you don’t have a Homeowners’ Association (US) or Strata (Canada) that regularly schedules dryer cleaning, you might not be aware of this extra step to take. So, how do you know when lint has built up in your dryer duct? While there’s always the option to have a professional HVAC company do the job for you, some homeowners prefer to take care of dryer duct business themselves. If you plan on doing so, here are the steps you should take to do so properly and carefully. Locate your duct – know where it is and where it ends. Safely disconnect the dryer – unplug the power cord from the wall outlet and remove any metal tape or clamps keeping the dryer vent pipe fixed to its exhaust. 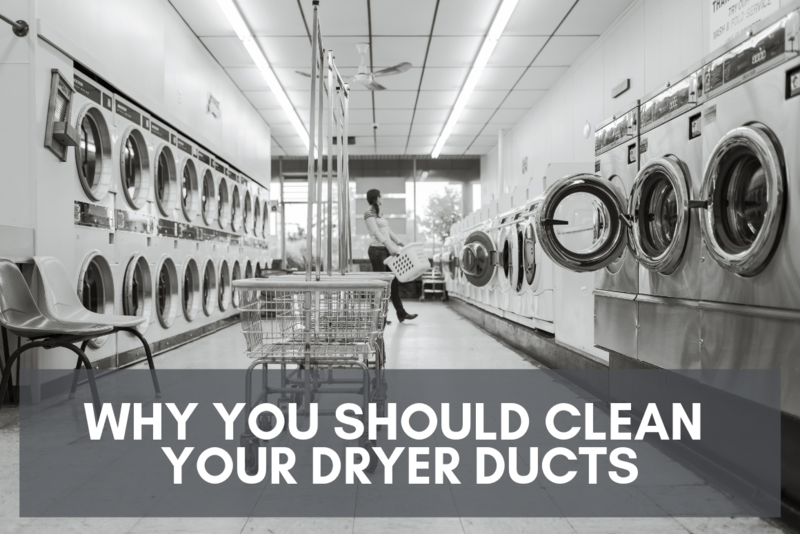 For more information on how to clean your dryer ducts and how often to do so, check out this great post from Today!